More fights are coming to Fight Pass and FOX Sports 1 this Friday night (July 8, 2016) when The Ultimate Fighter (TUF) 23 Finale: “Jedrzejczyk vs. Gadelha 2” kicks off from MGM Grand Garden Arena in Las Vegas, Nevada. MMAmania.com’s Patrick Stumberg kicks off TUF 23 Finale predictions party with a full “Prelims” undercard preview. The Ultimate Fighter (TUF) 23 has come and gone, the obvious antipathy between the coaches entirely undiminished. This Friday, things boil over at TUF 23 Finale, which pits Strawweight champion, Joanna Jedrzejczyk, in a rematch against hated rival, Claudia Gadelha, in the main event inside MGM Grand Garden Arena in Las Vegas, Nevada. Meanwhile, Khalil Rountree takes on Andrew Sanchez in the light heavyweight final and Amanda Cooper faces Tatiana Suarez at flyweight. And that’s not even mentioning the UFC debut of Bellator champion WIll Brooks. The six Prelims are split 4-2 between Fox Sports 1 and Fight Pass, but we’re doing the lot right here, right now. Let’s dig in. 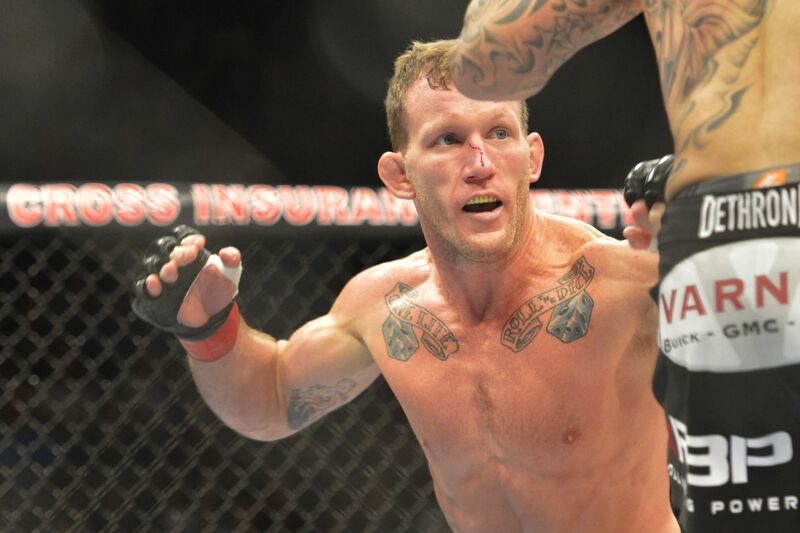 It’s been five years since the title fight with Frankie Edgar that elevated Gray Maynard (11-5-1) from insufferable grinder to elite Lightweight. In those five years, he’s gone 1-5 with four knockout losses and the sole win a split decision over Clay Guida in 2012. This will mark his Featherweight debut. Despite being Anderson Silva’s last Lightweight pick on TUF: “Brazil 4,” Fernando Bruno (15-3) managed to fight his way to the Finale with wins over Adilson Fernandes and Nazareno Malegarie. He had rather more trouble with Glaico França, who handed Bruno his first-ever submission loss with 14 seconds left in the fight. He has submitted eight opponents overall, though just one in his last four wins.